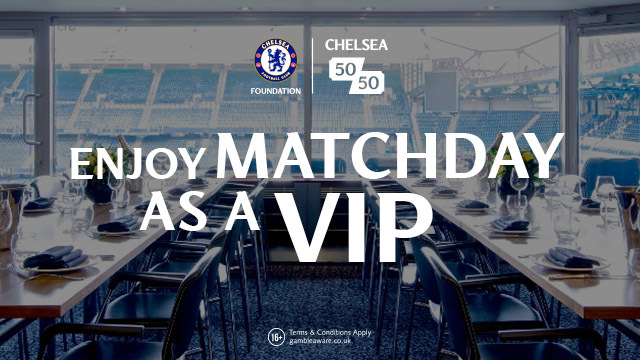 World Class Chelsea Midfielder to become the first casualty of our 3-4-3 formation? Three wins from three, nine points, nine goals scored and three clean sheets, it does not get any better. 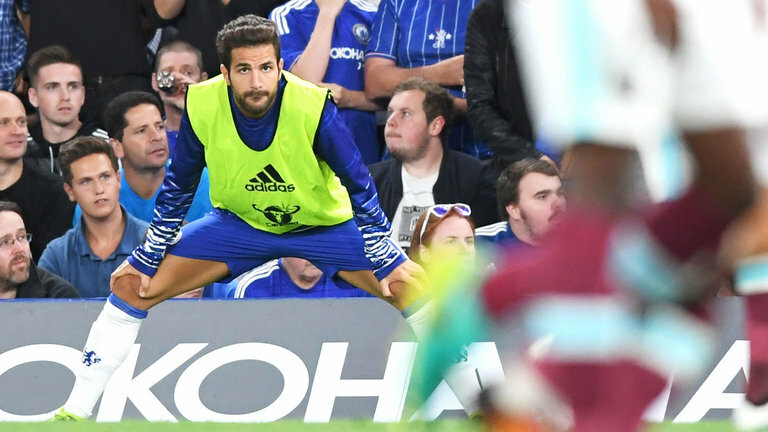 Could this signal the end of Cesc Fabregas’ Chelsea career? As we have seen this season, Cesc Fabregas has struggled to get into the first team on a regular basis under Antonio Conte with recent injury compounding his problems. Two seasons ago, Cesc Fabregas made an important decision to leave the club where he started his career, and arguably the greatest club side in the world at that time, to search for regular first team football. Jose Mourinho successfully lured him to Chelsea in what turned out to be a masterstroke. In that first season, Fabregas was sensational. He played as if he had never left the Premier League and formed an instant understanding with Diego Costa. 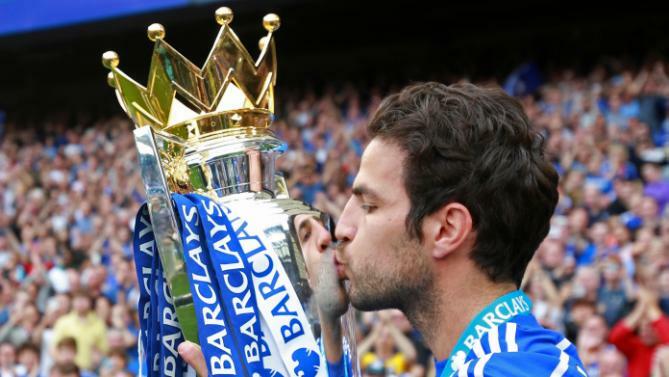 The two of them combined with devastating effect to lead Chelsea to the Premier League title, their first in five seasons and an added bonus of the League Cup. It’s what happened last season at Chelsea under Jose Mourinho that seems to have soured his return to England. In that first season, Fabregas playing alongside Nemanja Matic formed a solid partnership in the middle of midfield. Chelsea were dominant in the majority of our games and as the season moved on, teams became more than aware of the potent threat we had and sat deep looking to hit us on the counter attack. As a result, in the middle of the park looking at the defensive aspect of his game, Fabregas had it easy. Due to the fact we were dominant and teams sitting deep, there was plenty of time in that area. When we lost the ball, Nemanja Matic would be in position to cover and win the ball back so we had it covered. In the second seasons after an eye opening start against Swansea at home, teams would not be afraid of Chelsea and would look to take the game to us at every single opportunity. There was no sitting deep and playing on the counter attack, teams pressed high, pushed up and the time and space we had in the middle was non-existent. As a result, Fabregas became exposed for the defensive side of his game, his lack of pace and ability to tackle. Nemanja Matic had to then cover the majority of that area behind Fabregas as we became stretched and caught out of position and his form also suffered. It became a major problem. That was obvious to anyone watching Chelsea over the course of last season. Plenty of people commented on our defending but the space in front of our back four, an area we had given protection to for years, was exposed and led to our defensive problems. Antonio Conte having witnessed the same, in accordance with Michael Emanalo, brought in N’Golo Kante to the club and everything changed. 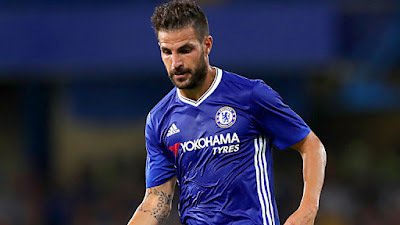 Whether it has been 4-2-3-1 or the new 3-4-3 formation under the new manager, there has been no place for Cesc Fabregas in the starting lineup. Kante and Matic have the two central positions nailed down because of their defensive abilities, which you will all agree, are far superior to the ex-Barcelona Midfielder. What has compounded his situation at Chelsea even still is the decision to play three up front. If Chelsea had adopted a 3-5-2 formation, playing two strikers and three midfielders having two of those in the central area with licence to get forward then it could be different. Fabregas and Oscar for example playing with Kante behind them. Having three up front with Eden Hazard and one other supporting Diego Costa makes it just as difficult for Fabregas to break into the side again and it looks as though his time at Chelsea could be coming to an end. According to various reports, Pep Guardiola has identified Fabregas as the player he wants to provide an alternative solution in the midfield and you would have to imagine that Fabregas would jump at the chance to reunite with Guardiola for a figure of around £20m. It would be interesting to see if it happens first and foremost but secondly, how Guardiola would find a place for the Spanish Playmaker. 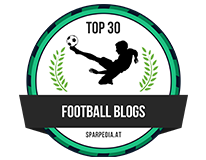 Cesc Fabregas is world class and it seems ridiculous to even consider writing a blog post such as this. However, as Antonio Conte continues to pick the bones out of last season AND the two defeats against Liverpool followed by the nightmare at Arsenal, he has made a tactical decision that suits the players he considers best suited to lead Chelsea to a title challenge this season. 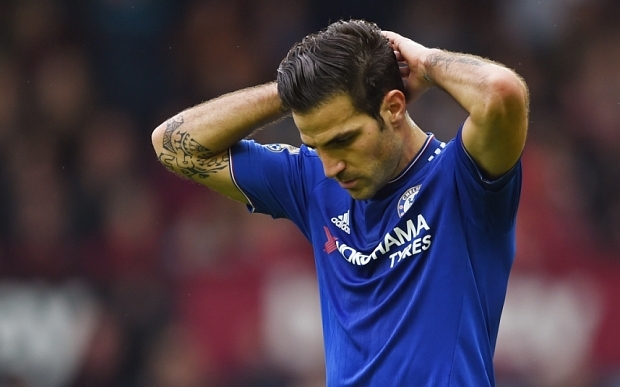 Unfortunately, it looks as though that will be without Cesc Fabregas.